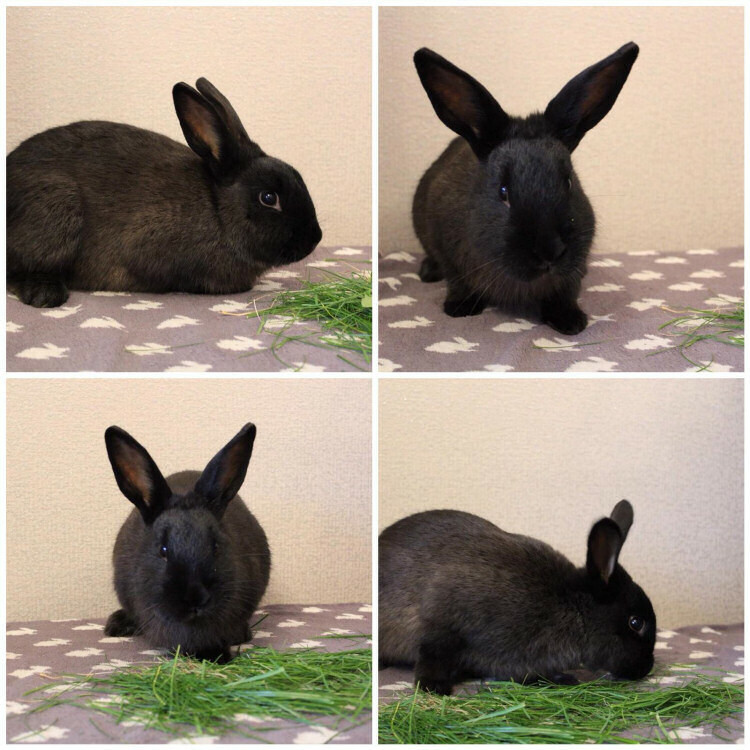 Here are our Rabbits that are ready for rehoming. This webpage is updated regularly. Our adoption fees are £45 for a single rabbit and £80 for a pair of rabbits. Additional donations are greatly appreciated to help us to continue with our work. 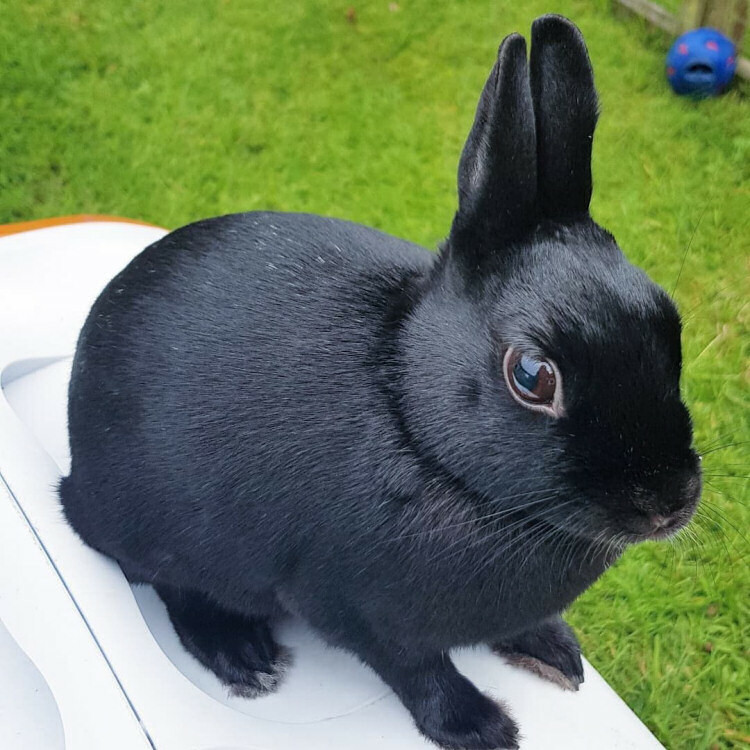 All our rabbits are neutered, vaccinated and microchipped prior to adoption. 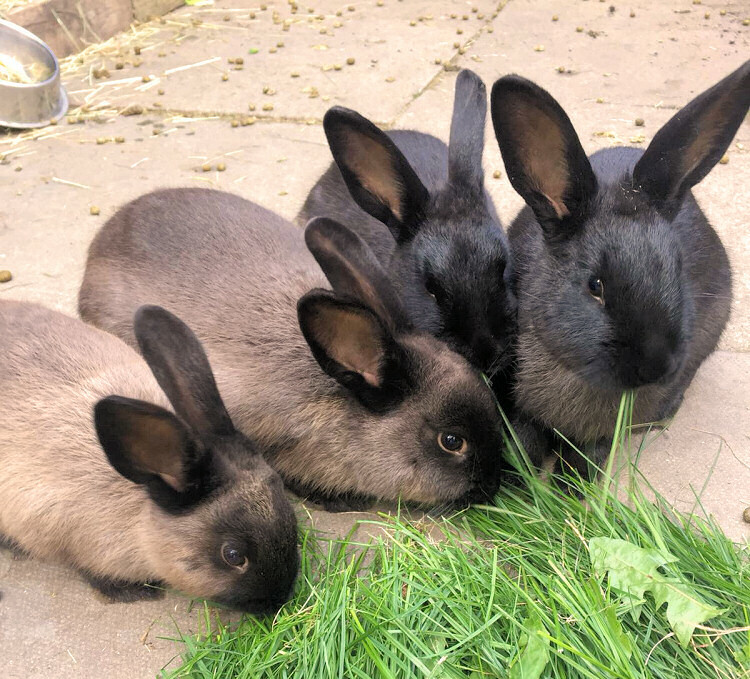 Our rabbits are neutered at 4 months old, so if your chosen rabbit is younger than that, we will organise with you for the rabbit to be neutered once old enough. We will then arrange to visit your home to discuss your new rabbit with you and answer any further questions you may have about rehoming. During the home visit, we can ensure the home is suitable and advise on preparing your home and garden, removing potential dangers, and buying food, bedding, and toys. During the home visit, we can discuss bonding your chosen rabbit. Rabbits are happiest in pairs or groups, we won't rehome a single rabbit to live outside alone. A neutered male/ neutered female combination is usually the most successful bond. If you currently have a pet rabbit, they will need to be neutered and up to date with their vaccinations. 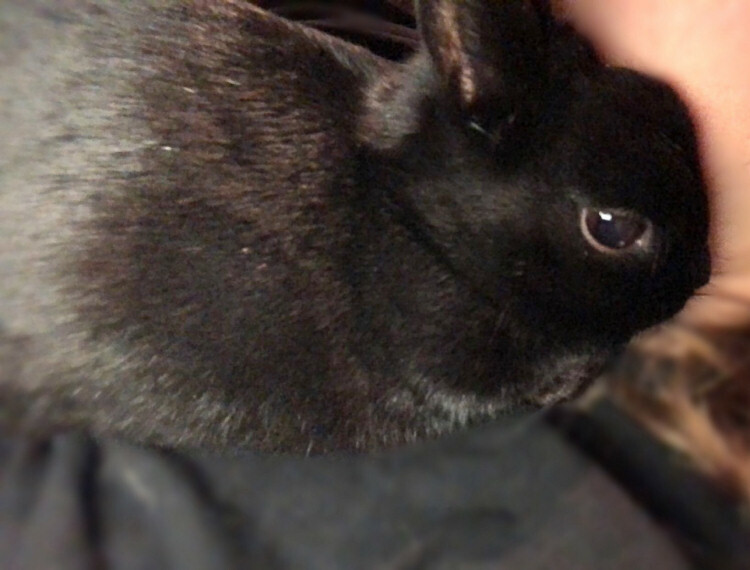 We do occasionally have single bunnies suitable for being a single house rabbit in a home where they will have plenty of human company and will not be left alone for long periods of time. 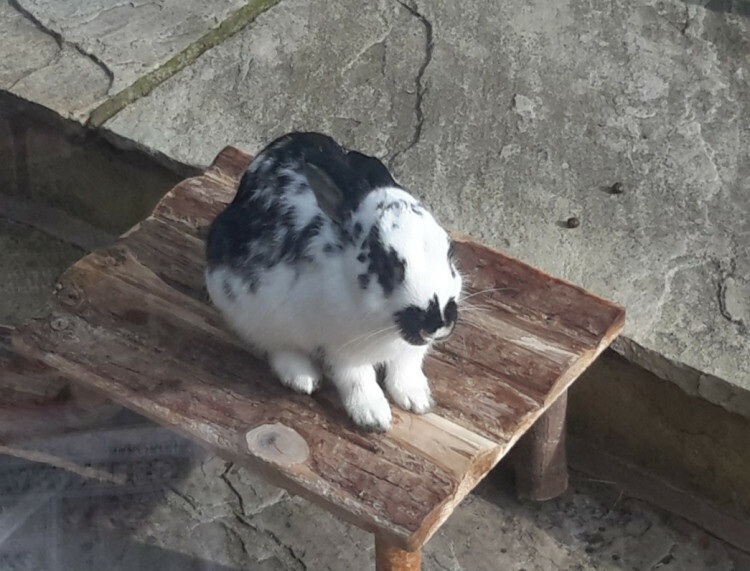 Ahead of the home visit, you will need to ensure that the rabbit(s) will have plenty of space to move around and stretch freely without restriction to be healthy. 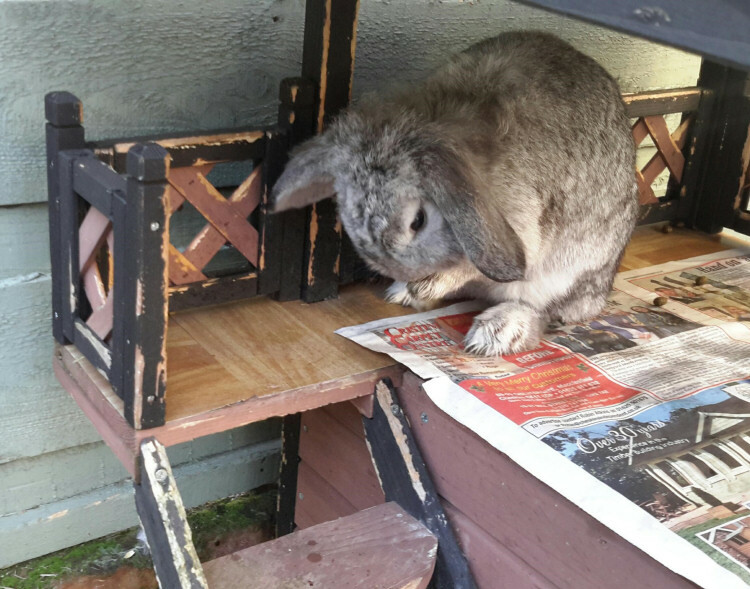 For a pair of medium sized rabbits, living outside, you will need a minimum sized set up of a 6ftx2ftx2ft bedroom area (hutch) with a permanently attached run of 6ftx6ftx2ft, ideally situated on a concrete or flagged base. All wire needs to be galvanised wire mesh not chicken wire. For large or giant bunnies minimum size set ups will need to be bigger than above. Before buying any set ups you can, if you wish, check the suitability with us first. The more space they will have, the better for the rabbit’s health and happiness. Large and giant breed bunnies will need larger set ups. We are here to help and support for the rest of the rabbit’s life. How adorable is little Dusky!? 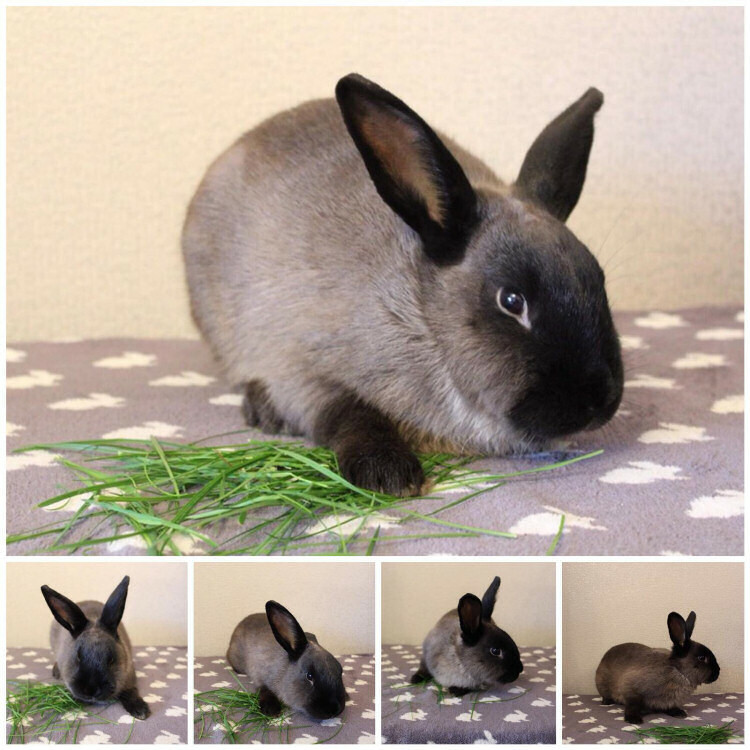 Dusky is a young adult approximately a year old, male netherland dwarf. 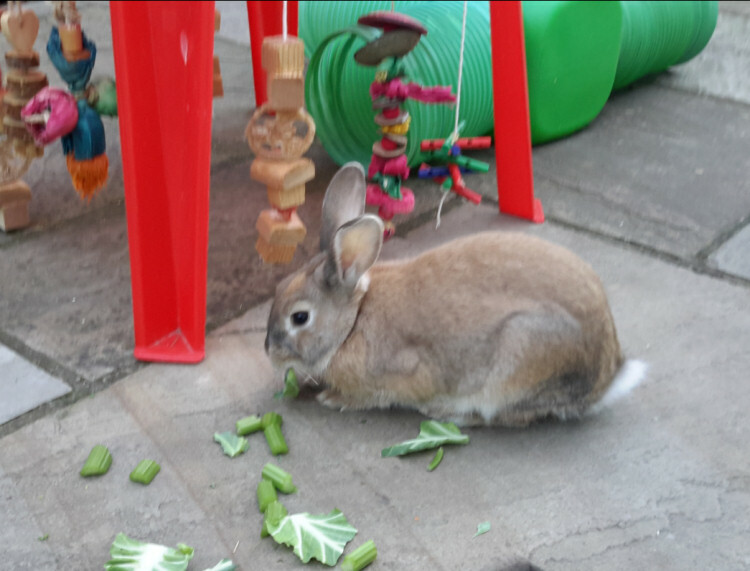 Dusky came into our care via inspectors from a multi rabbit household. He can be a little shy and scared in new environments but once settled and he feels safe he's a really sweet gentle little man. Meet our spunky little fella Jack! Jack is a tiny little (just over 1kg in weight) male Polish rabbit. 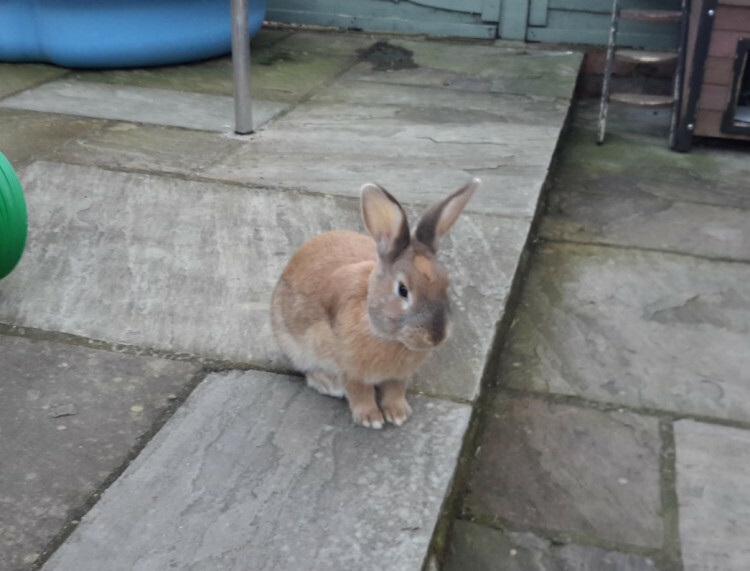 Jack came into our care along with several rabbits from a multi rabbit household. We think Jack may have been used as a breeding rabbit. 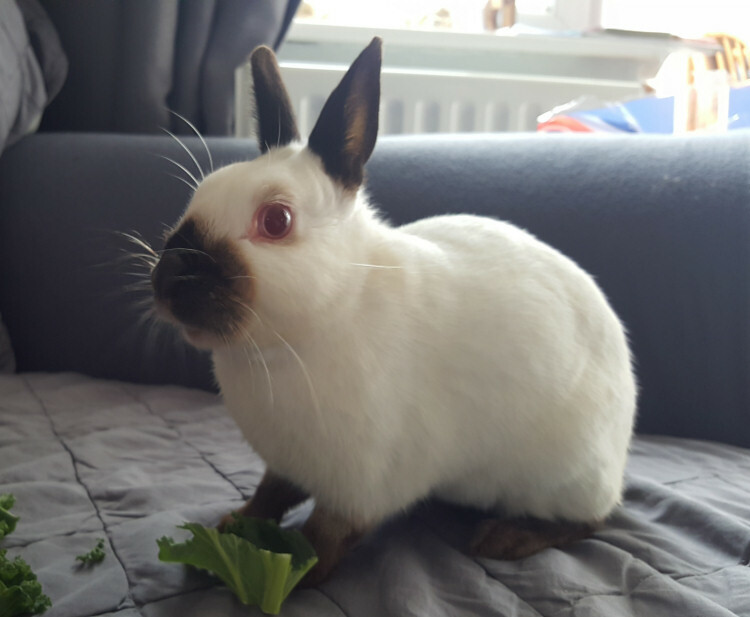 Jack has now been castrated and will be looking for a home where he will be bonded with a neutered female rabbit. Jack is full of character! He is an active little man. He can easily be spooked so he would be better suited to a child free home. 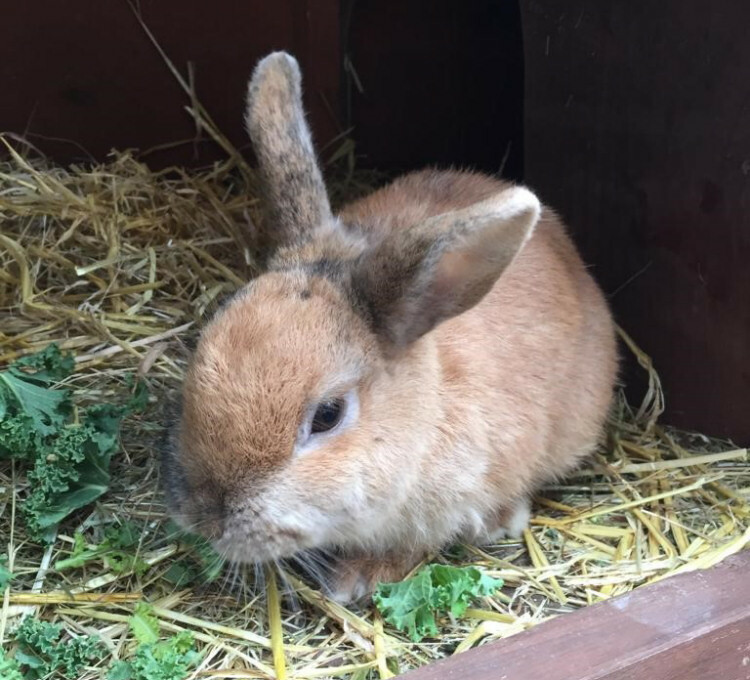 Once he is calm he is a really sweet little fella and enjoys a fuss, he does need more socialising, time and patience to settle him into a new home and gain his trust. Jack is a fantastic hay eater. He is about 80% there with his litter training. 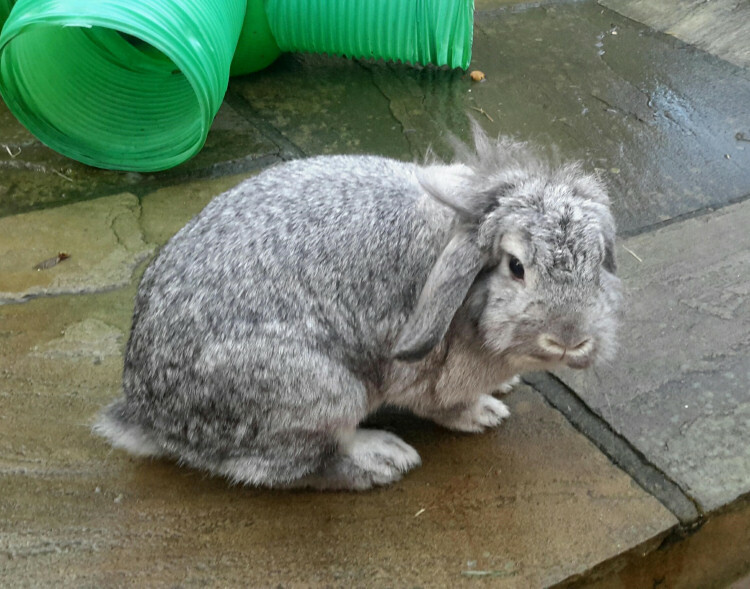 Jack has been neutered, vaccinated against myxomatosis vhd1 and vhd2 and microchipped. Meet the very cute Pixie. Pixie is a tiny little Polish girl (weighing just 1.1kg) we have estimated her age at around 1 year old. 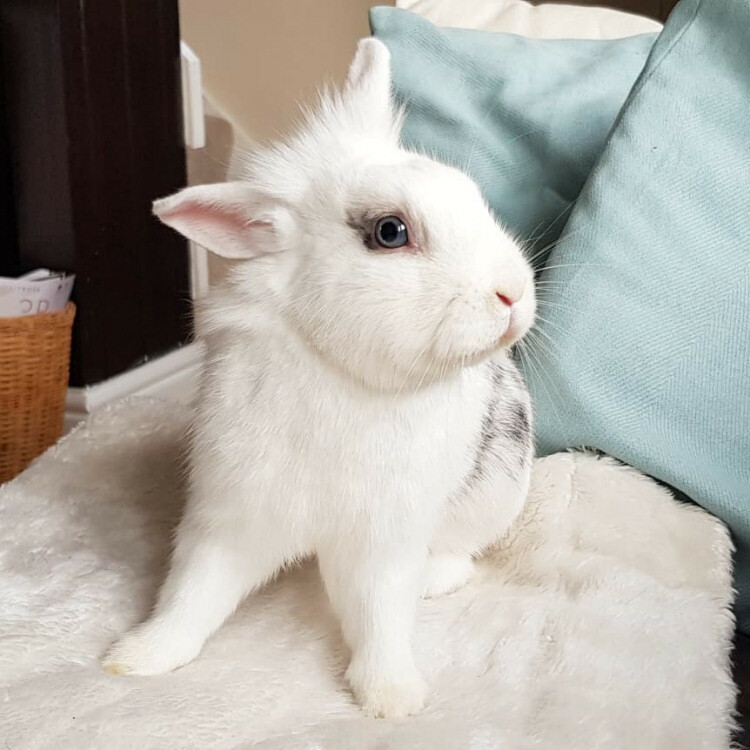 Pixie was signed over into our care from a multi rabbit household. Pixie is so sweet and lovely, she loves being stroked but she is a bit nervous of being picked up so she needs someone to be patient and to take time to gain her trust. 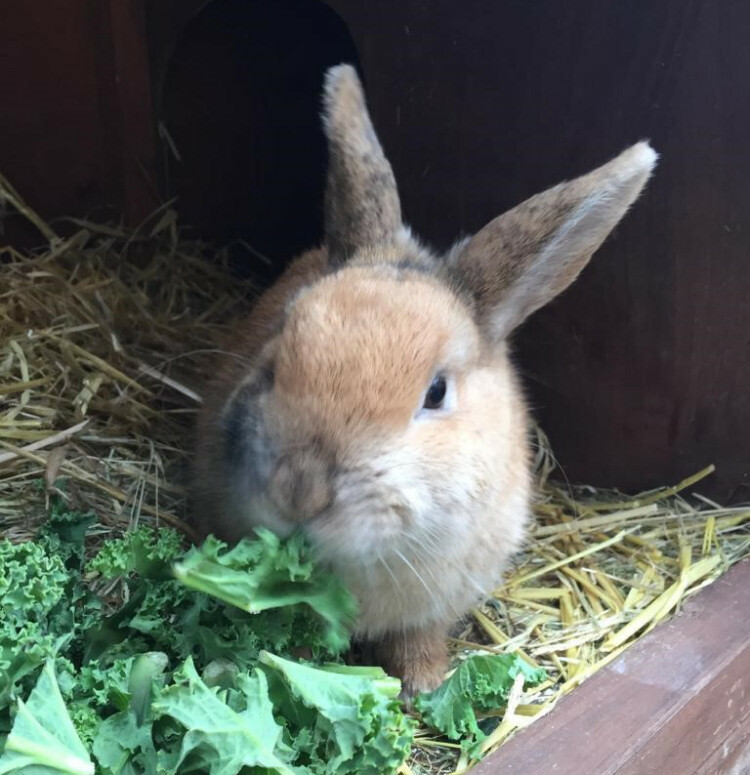 Pixie is a fabulous hay eater, she just loves her hay and she loves her fresh veggies especially kale. Pixie is a very active little girl! 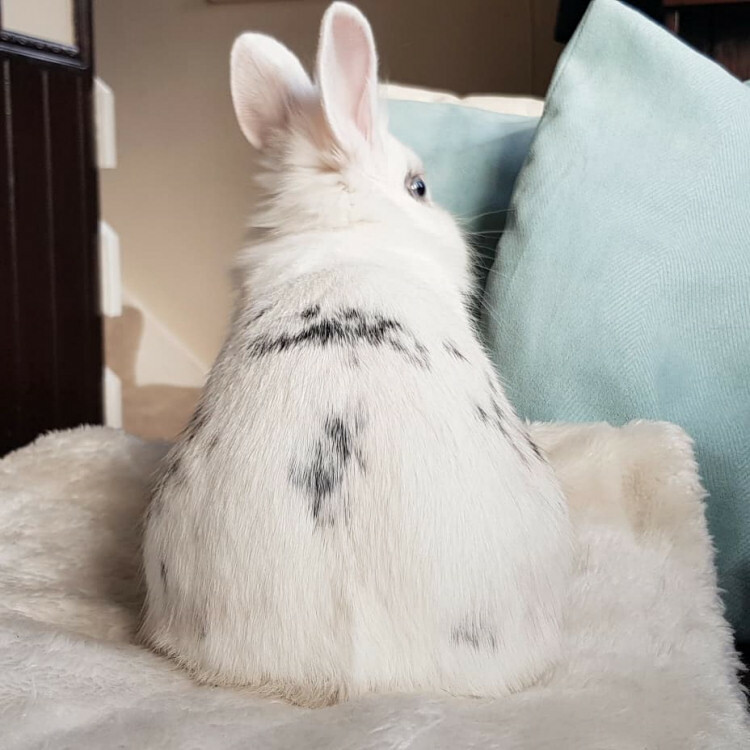 She really enjoys zooming and binkying so, even though she is tiny, she still needs a large space to call home. 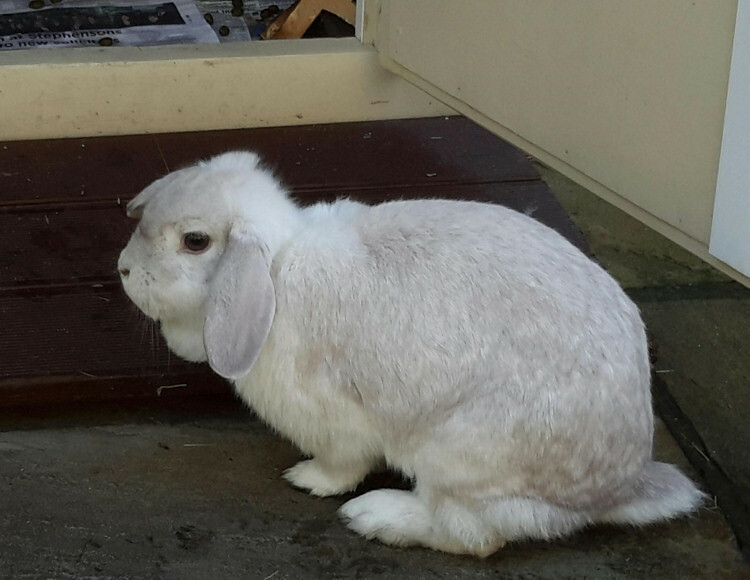 Pixie has been neutered, fully vaccinated against myxomatosis vhd1 and vhd2 and she is microchipped. 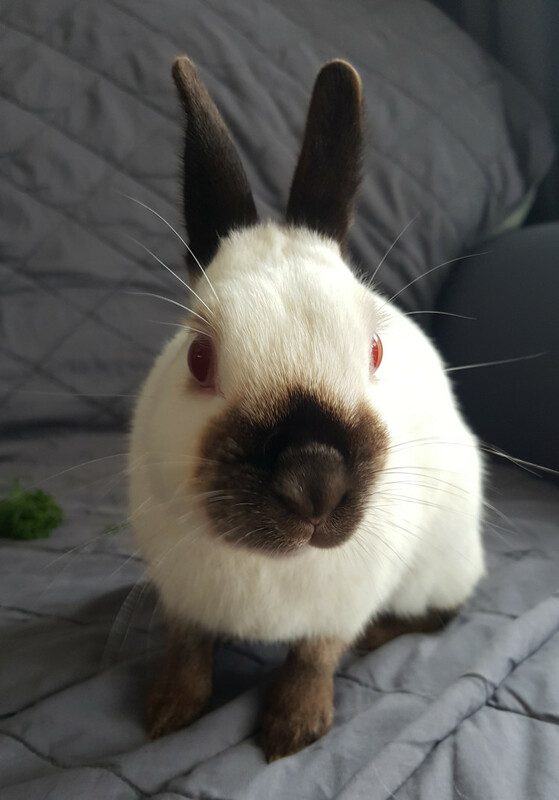 Pixie is looking for a home where she will be bonded with a neutered male rabbit. Meet our lovely lady Bessie. Bessie came into our care after she was found abandoned outside another animal sanctuary. 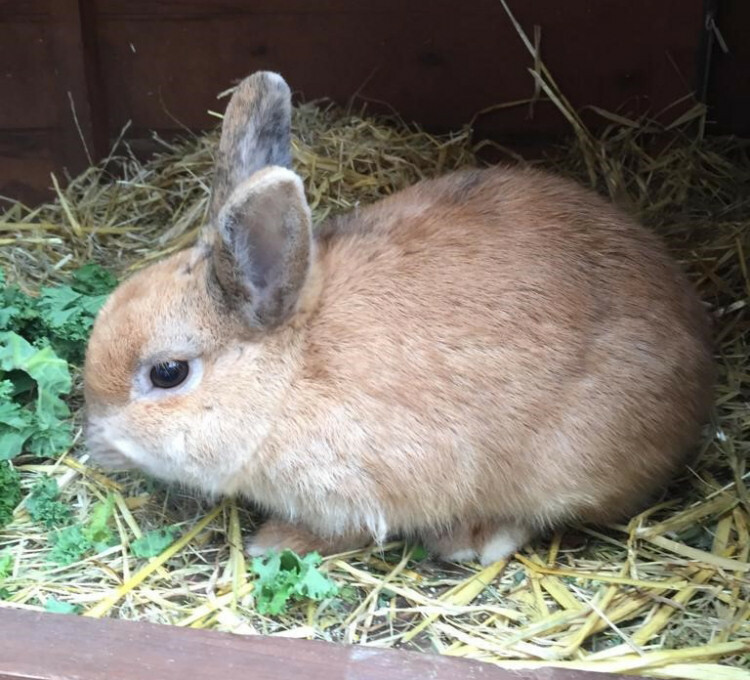 Bessie is a small crossbreed bunny, we have guesstimated her age at approximately a year old. 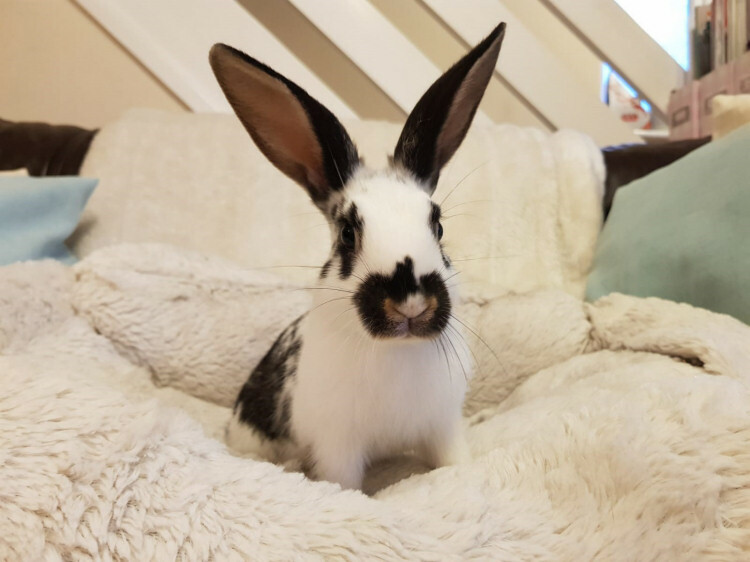 Bessie is just the cutest little lady, she is super friendly and super sociable, she is nosey and wants to be 'in on the action' with whatever you are doing. She just loves human company. Bessie is a great hay eater, we are working on her litter training habits but she is an intelligent little lady so hopefully she'll puck that up soon. She loves to keep herself occupied with plenty of toys to chuck around and chew. 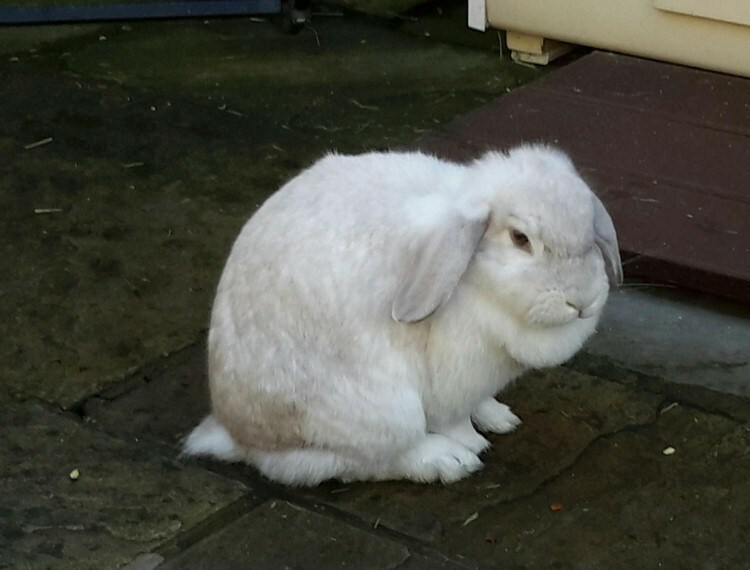 Bessie has been neutered, fully vaccinated against myxomatosis, vhd1 and vhd2 and microchipped. 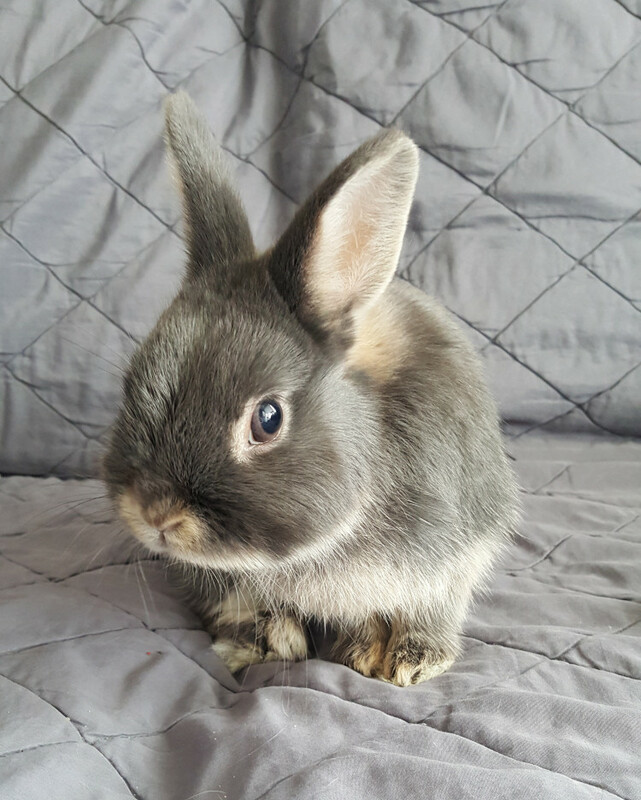 She is looking for a home where she will be bonded with a neutered male rabbit. Lovely Leah has the most amazing mane! 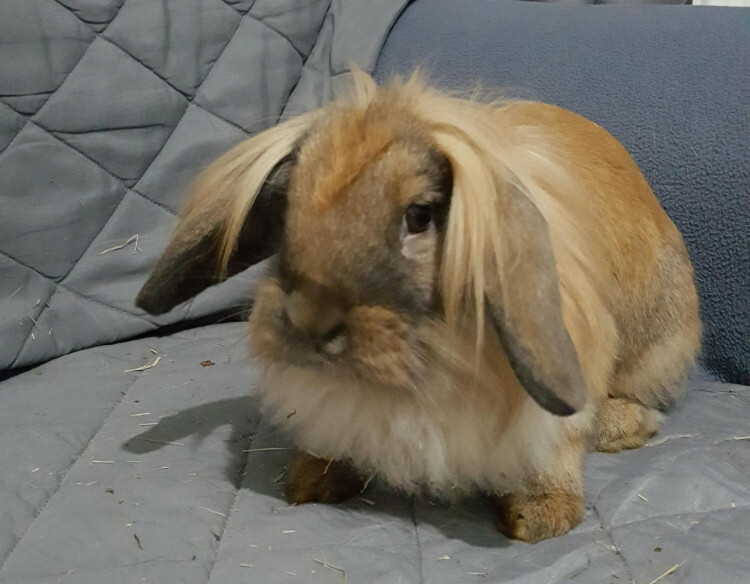 Leah is a medium sized lion head lop cross breed bunny. 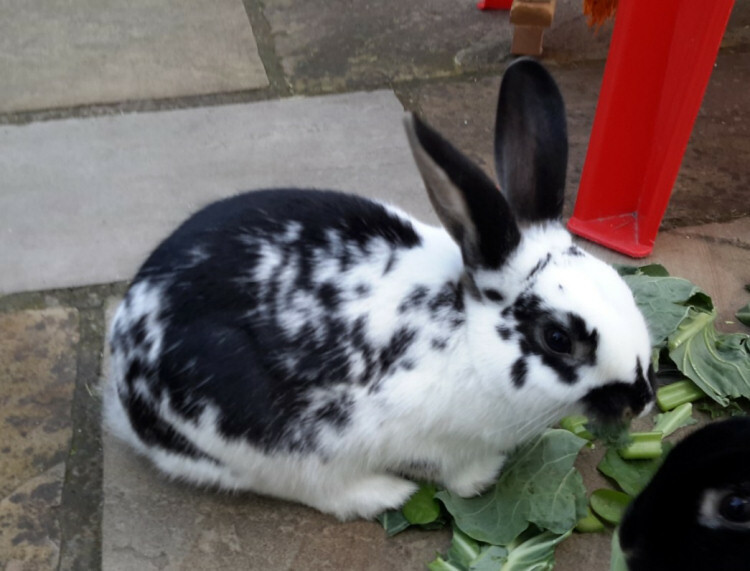 She came into our care via rspca inspectors along with several other rabbits after they were found dumped in a box. We have guesstimated her age at around 8 months to a year old. Leah will need regular grooming to keep her mane as beautiful and tangle free as possible. She is a timid girl but is growing in confidence in her foster home. She loves having space to explore and run and plenty of toys to play with. She absolutely loves her hay! Leah has been health checked, neutered, fully vaccinated against myxomatosis vhd1 and vhd2 and microchipped. 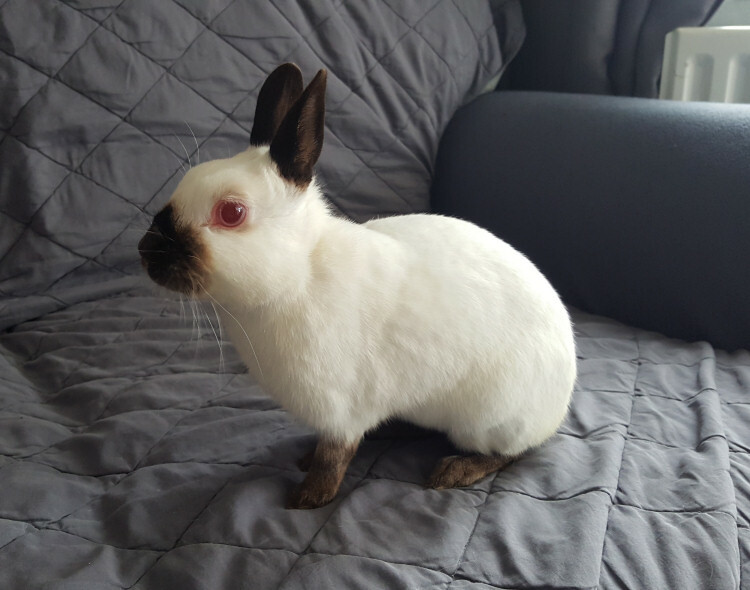 Leah is looking for a home where she will be bonded with a neutered male rabbit. Our beautiful lady Lena is now ready for her forever home. 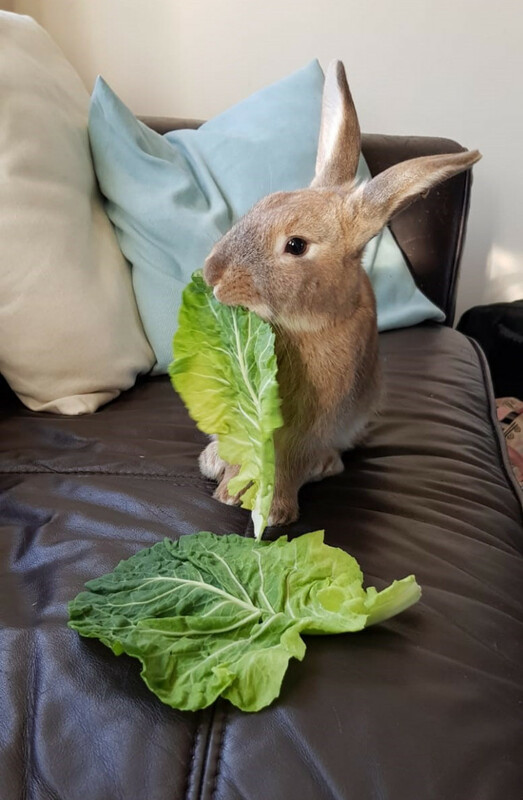 Lena came into our care via Rspca inspectors after she was found dumped in a box along with several other rabbits. 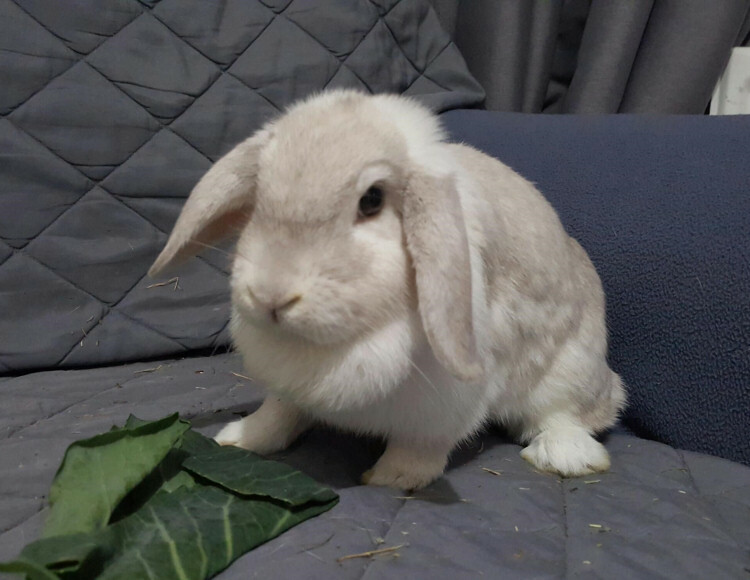 Lena is a medium sized lop eared bunny. We have guesstimated her age at 1-2 years old. Lena is a little timid at the moment, she will come to you if you've got food and will take food from you, her confidence is slowly improving in her foster home. She loves being out and about and really enjoys having lots toys to play with. Lena loves eating hay, she has a healthy diet of unlimited hay and a small portion of a variety of veggies twice a day. Lena has been health checked, neutered, fully vaccinated against myxomatosis vhd1 and vhd2 and microchipped. 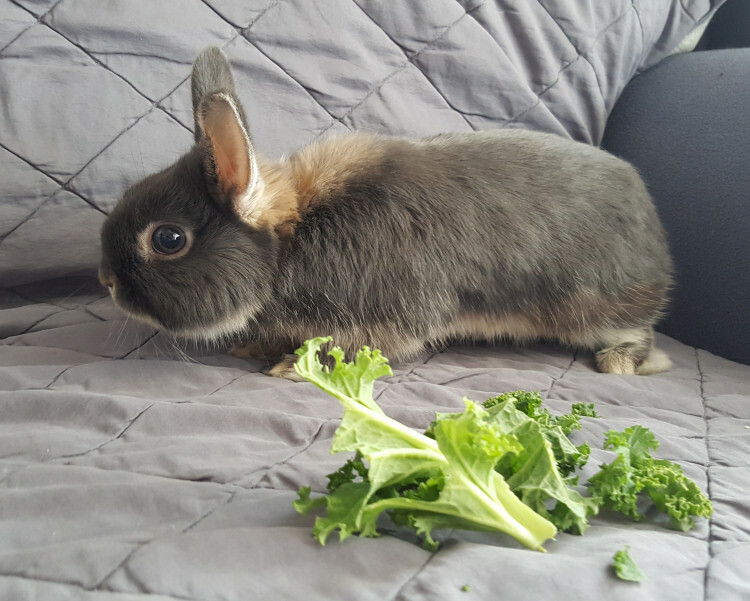 Lena is looking for a home where she will be bonded with a neutered male rabbit. This lovely lady is Lacy. 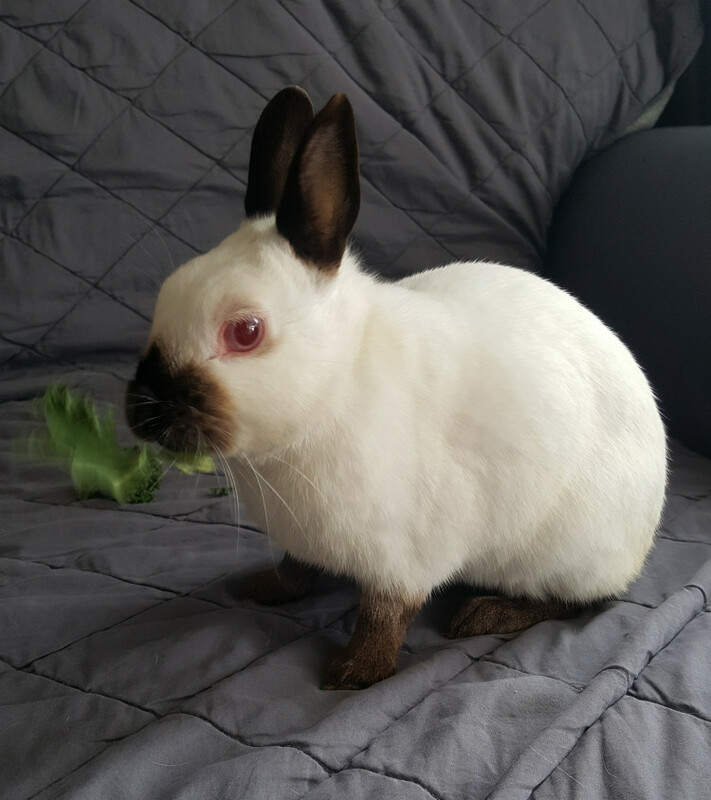 Lacy came into our care after she was found dumped in a box along with several other rabbit. 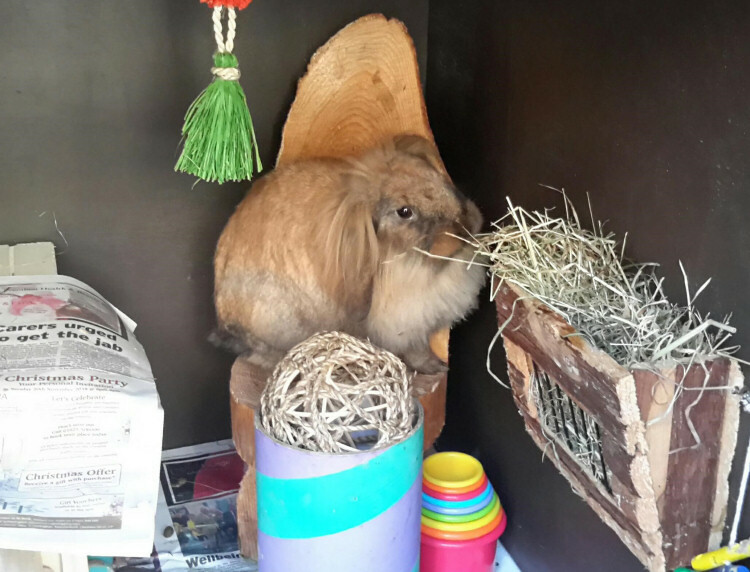 She is a medium sized lion head lop cross breed bunny. We have guesstimated her age at approximately a year old. Lacy is a confident girl once she knows you and she will run up to you for a nosey, she will run off if you try to stroke her but she is gaining more confidence in her foster home. She loves to be out investigating and exploring everything. Lacy is a fabulous hay eater and has a healthy diet of unlimited hay and a small portion of a variety of veggies twice a day. Lacy has been health checked, neutered, fully vaccinated against myxomatosis vhd1 and vhd2 and microchipped. 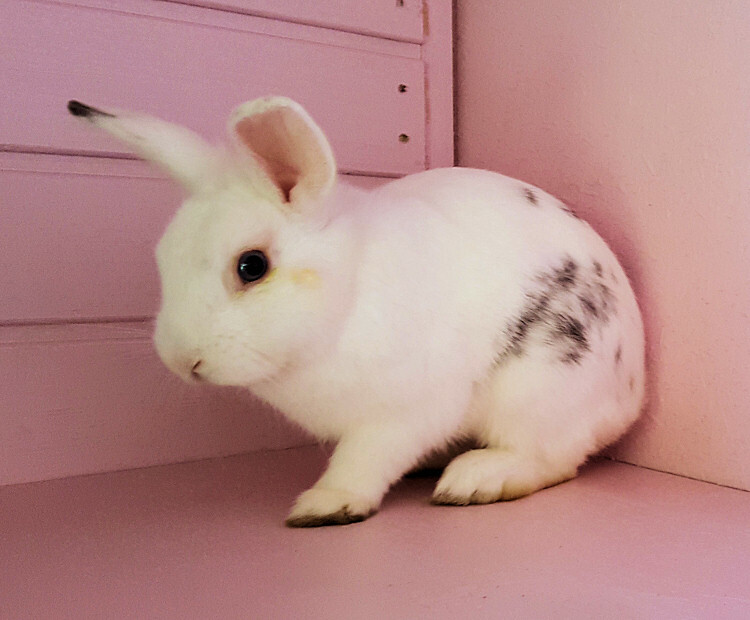 Lacy is looking for a home where she will be bonded with a neutered male rabbit. Meet our lovely bunnies Mocha Cocoa, and Mars. These 3 came into our care along with their parents Ashley and Fudge as breeding had got out of control and the owners could no longer cope. Mocha, Cocoa and Mars are approximately 6 months old. Mocha is female, the other 2 are male. They are going to be big bunnies when fully grown. Both their parents are around 3kg in weight. 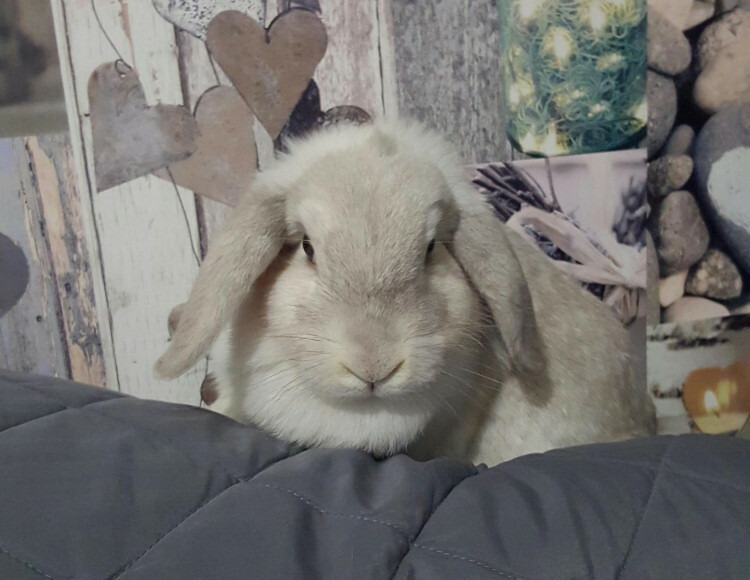 They are lovely bunnies, all very friendly and don’t mind being handled, they are very inquistive and love a good nosey at anything new! They have a great appetite and are fantastic hay eaters. They’ve not quite got the hang of a litter tray yet, but they are slowly getting better. Meet the lovely Fudge and Ashley. 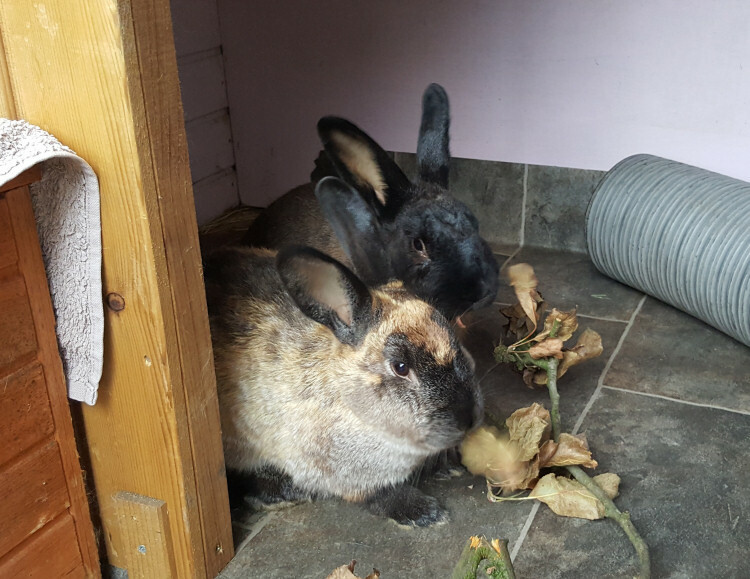 Fudge and Ashley are large cross breed bunnies approximately 18 months old. Fudge, the darker male, is the more confident of the 2, he is quite inquisitive and loves a good nosey! Ashley, the tortoiseshell colour female, is the more timid of the 2 but she is still friendly and enjoys a stroke once you gain her trust. 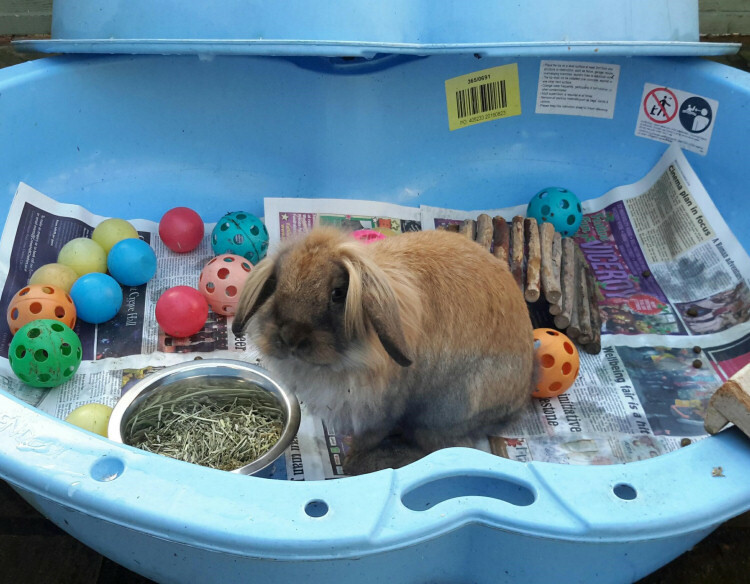 Fudge and Ashley have now been neutered, micro-chipped and are fully vaccinated against myxomatosis vhd1 and vhd2. They are a bonded pair so are looking for their new home together. This little handsome fella is Marble. 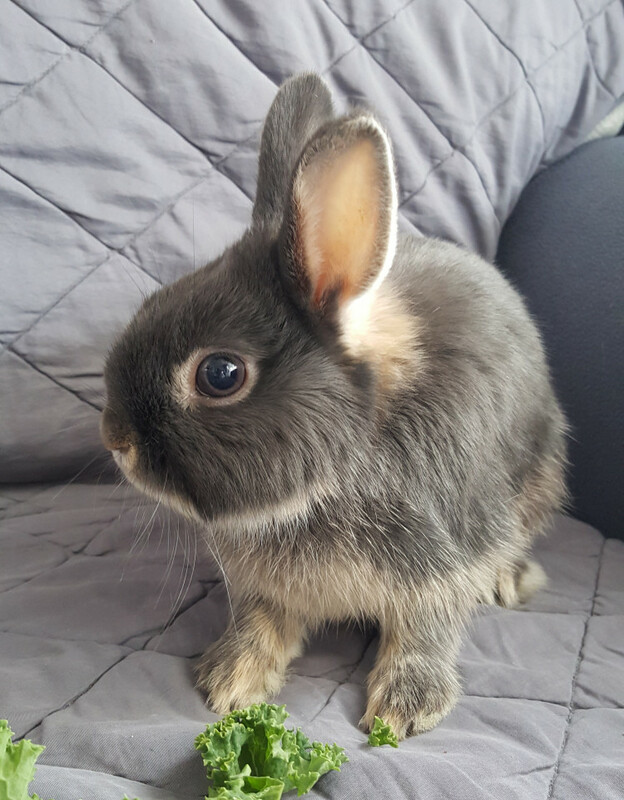 Marble is only a little bunny, he was found as a stray so unfortunately we have no history for him, he is only young probably around 10 months to a year old. Marble is a really sweet boy, he loves attention and goes all dreamy when he's having a fuss and a stroke. He loves his toys and having plenty of things to chuck around and keep himself occupied. 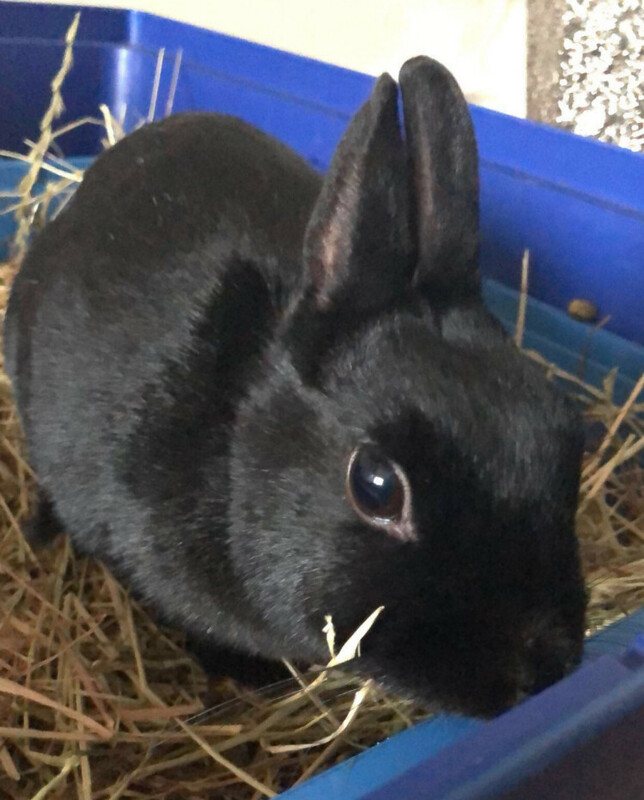 Initially when he came to us he was quite fiesty when he smelt other rabbits but hormones will have been racing as he was entire when he was found, he has now been castrated and is settling well and doesn't 'box' the brush and shovel as much as he did when he first arrived! 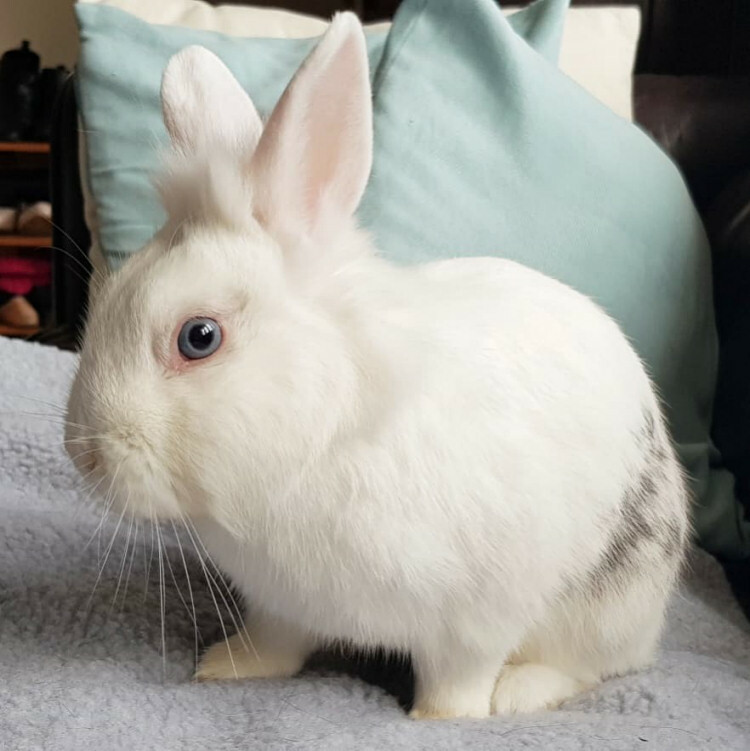 Marble is looking for a home where he will be bonded with a calm neutered female rabbit, where they will have plenty of space to run and play. Marble is very good with his litter training although there are still the odd stray poops around. He is also a great hay eater. 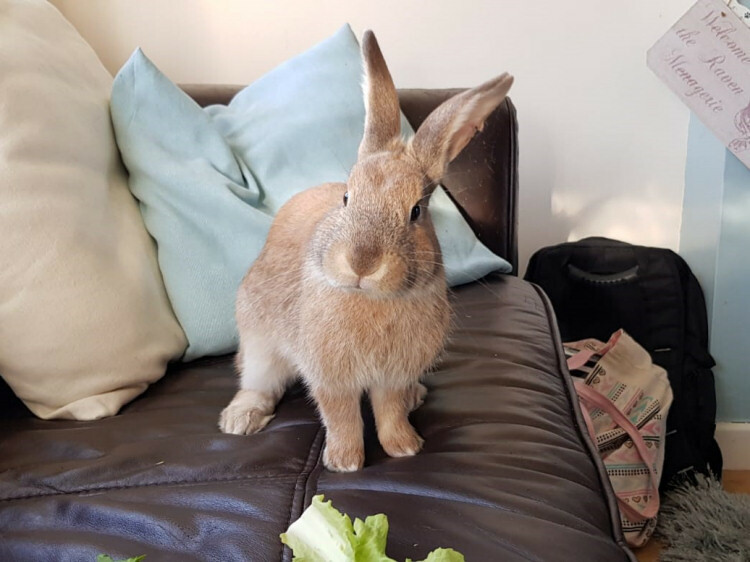 Marble has been neutered, vaccinated against myxomatosis vhd1 and vhd2 and microchipped. 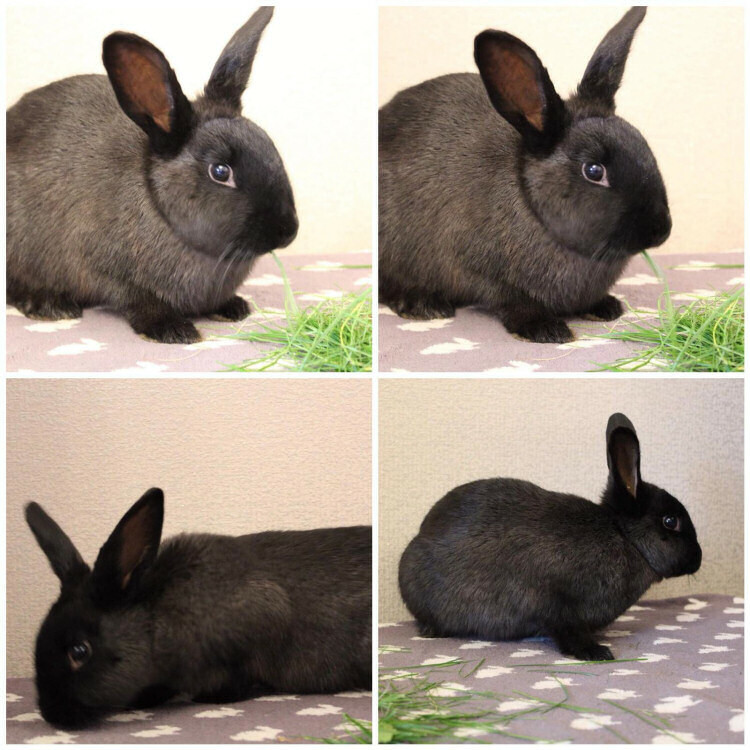 Are you looking to adopt a group of rabbity rabbits ? Rabbits who love each others company but arent that bothered by human interaction ? 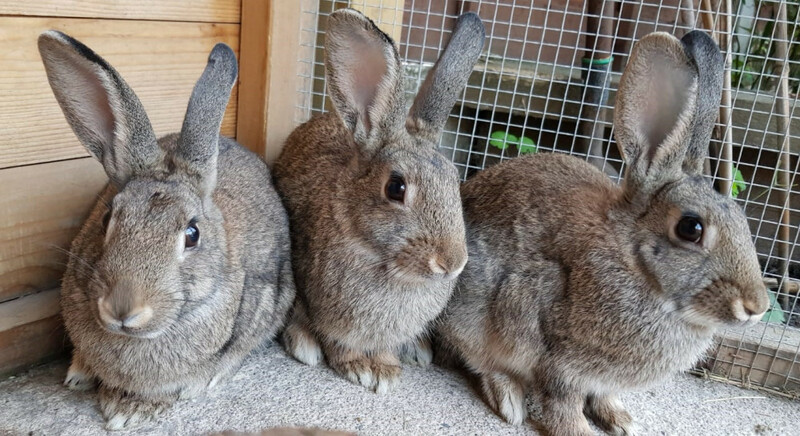 Then this amazing trio could be just the bunnies for you!! How gorgeous are Bramble, Bracken and Barley. 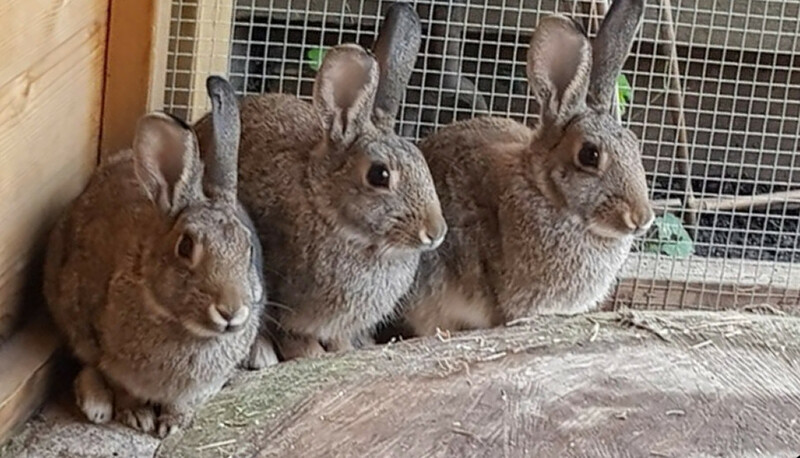 This trio came into our care as an unwanted litter, the owners domestic rabbit had bred with a wild rabbit resulting in these gorgeous babies. 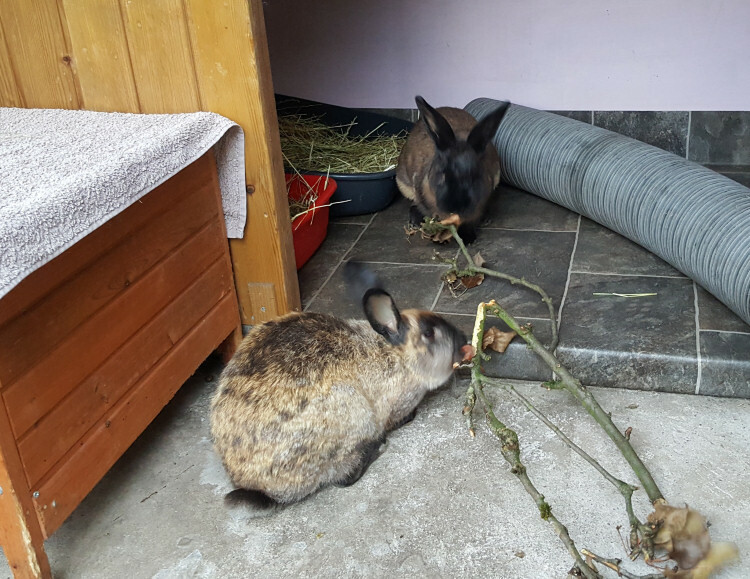 Bramble Bracken and Barley are now 4 and a half months old (as of end Aug 2018) and ate looking for their forever home, ideally together. This trio are 2 sisters and a brother, they get on really well together and are constantly seen binkying around their large avairy style home. They are fantastic hay eaters and brilliantly litter trained. 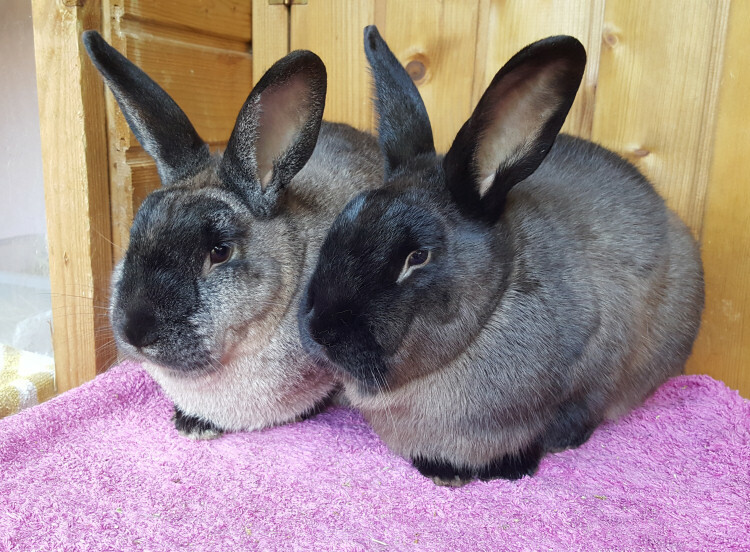 Bramble Bracken and Barley have been neutered, fully vaccinated and microchipped and are now ready to find their forever home. 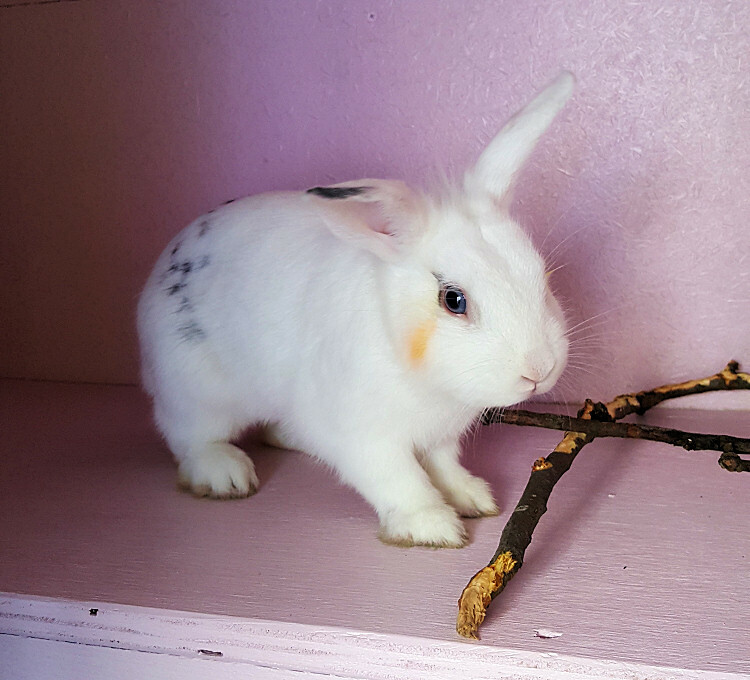 Dandelion came into our care along with 11 other rabbits after they were found dumped loose in a field. 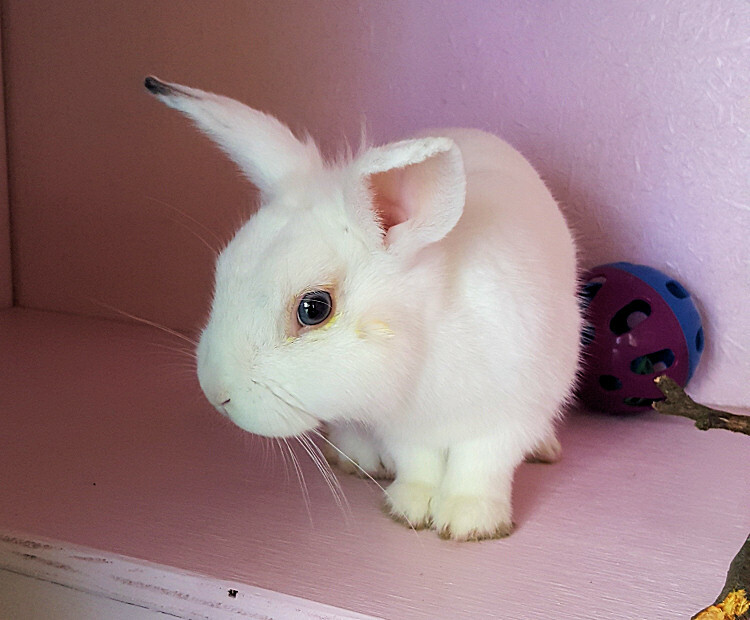 Dandelion is now approximately 6 months old and is looking for a home where he will be bonded with a neutered female rabbit. Dandelion is a friendly boy, he loves being fussed and being around people. He is a fabulous hay eater and is used to a healthy diet eating a small portion of a variety of veggies twice a day. He's loves charging around the garden binkying as he goes with lots of tunnels and toys to keep him occupied. 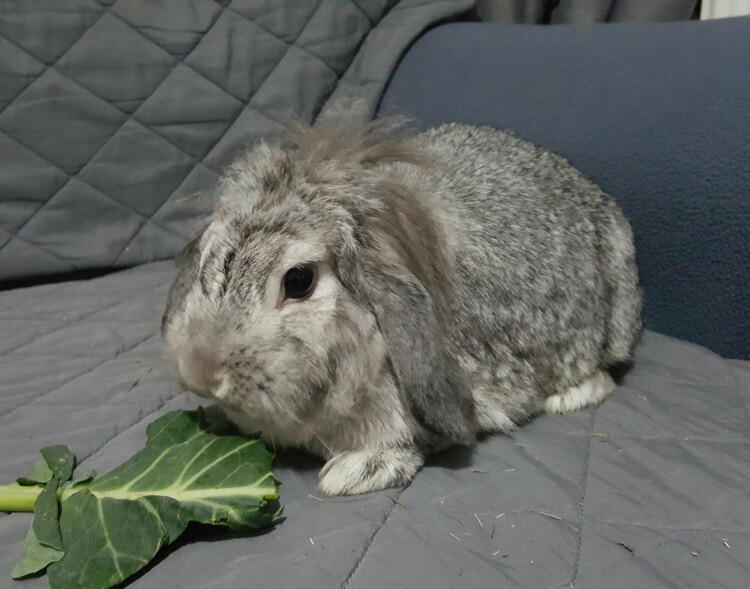 Dandelion has been health checked, neutered, fully vaccinated against myxomatosis vhd1 and vhd2 and microchipped. 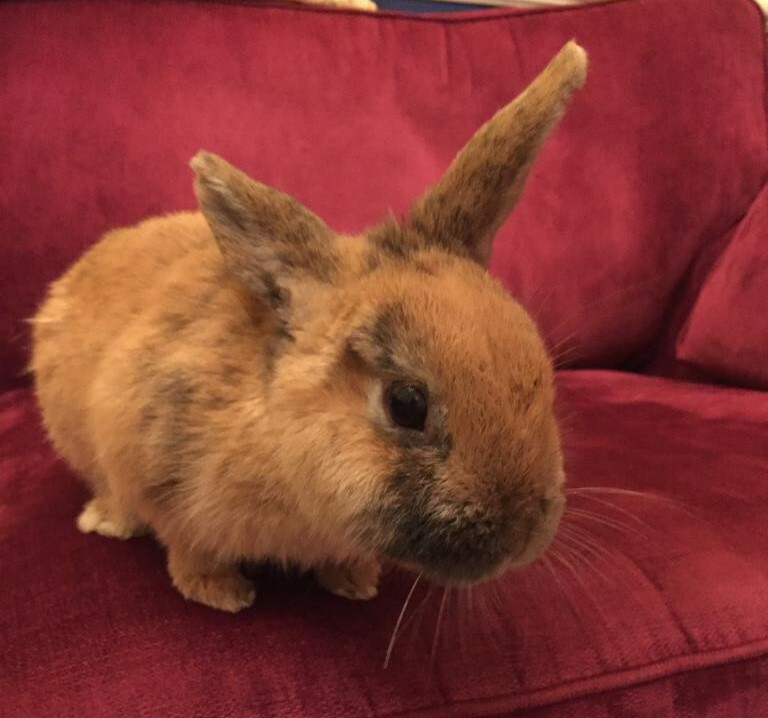 He is looking for a home where he will be bonded with a neutered fully vaccinated female rabbit. How gorgeous is our very pretty boy Pipkin!? 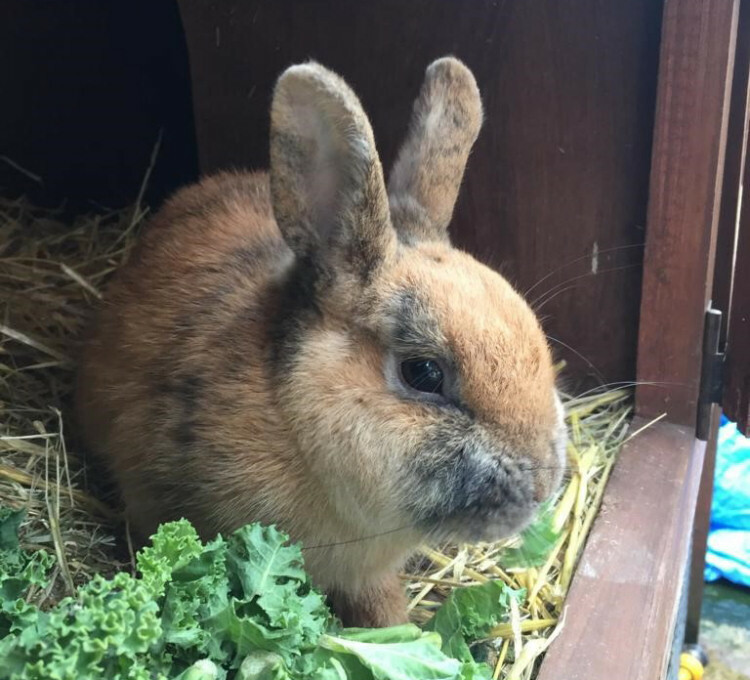 Pipkin came into our care along with 11 other rabbits after they were found dumped loose in a field. 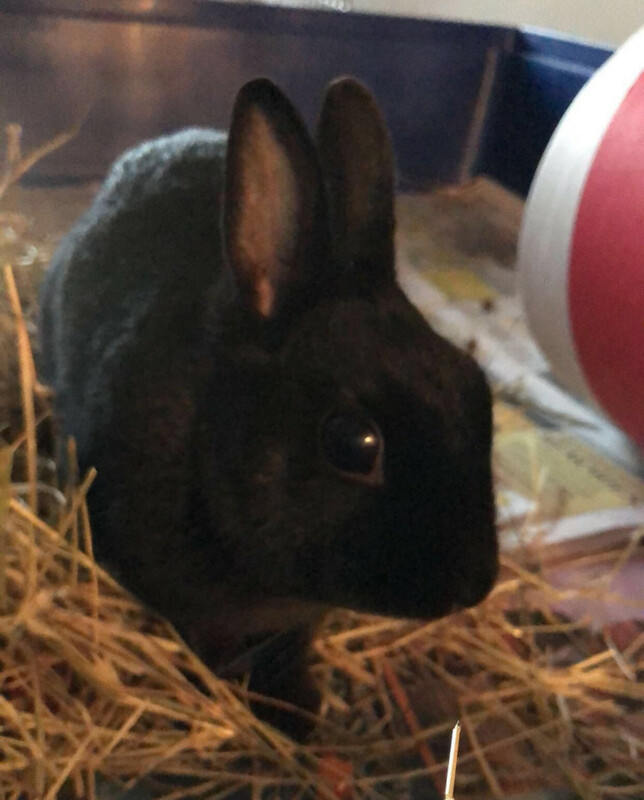 Pipkin is now approximately 6 months old and is looking for a home where he will be bonded with a neutered female rabbit. Pipkin is a friendly boy, he loves being fussed and being around people. He is a fabulous hay eater and is used to a healthy diet eating a small portion of a variety of veggies twice a day. He's loves charging around the garden binkying as he goes with lots of tunnels and toys to keep him occupied. 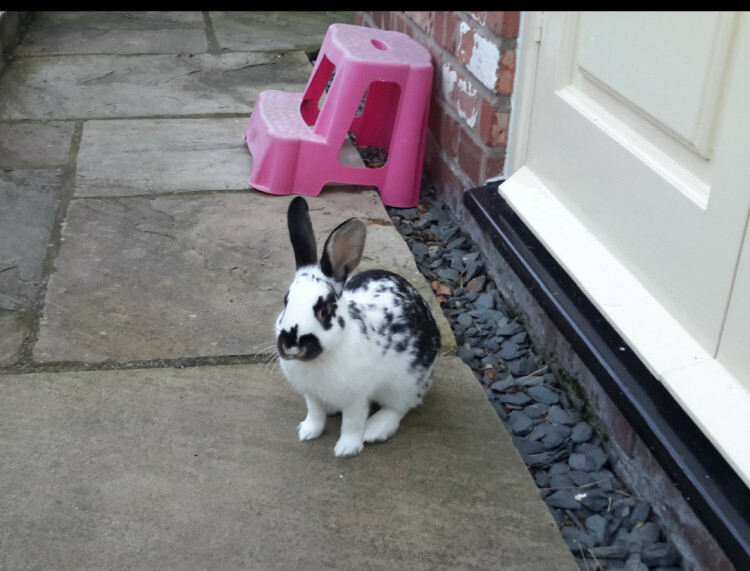 Pipkin has been health checked, neutered, fully vaccinated against myxomatosis vhd1 and vhd2 and microchipped. 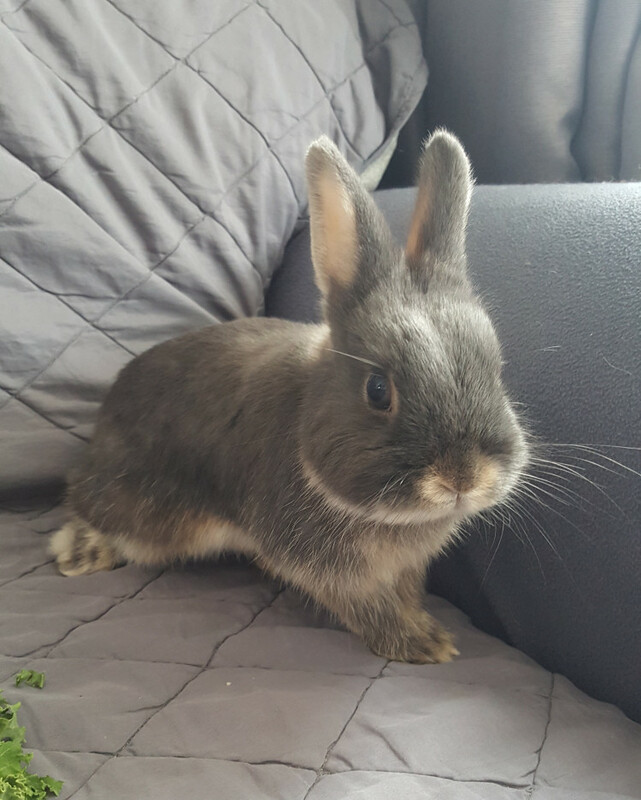 He is looking for a home where he will be bonded with a neutered fully vaccinated female rabbit.